Teachers should be allowed to display their tattoos. Tattoo discriminations should come to an end. Teachers should have the freedom to express themselves through their appearence. By showing off their individuality, teachers promote acceptance. Tattoos and external appearance have nothing to do with one's teaching skills. Depends on the tattoo; if it's inappropriate it should be covered. 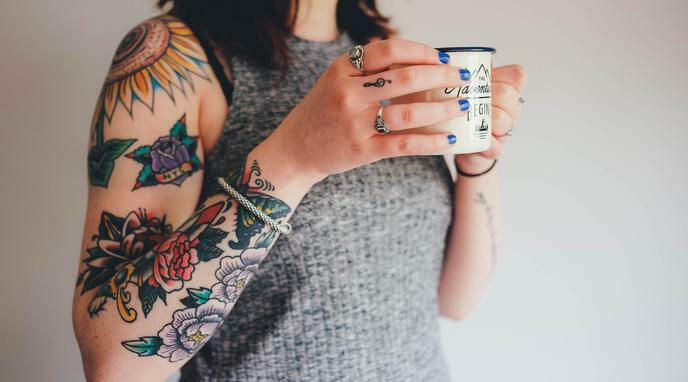 Students may not see the teacher as an authority figure if tattoos are displayed. Tattoos are a distraction to learning. Teachers are role models for young children and therefore should be looking modest. A teacher's style should look neutral so that they don't promote a certain lifestyle to the students. The dress-code is a primary means of helping students learn a skill, which is required for success in getting and keeping employment linked to attire.